We follow Steve Maxwell on his Facebook account and knew he was in town so we decided to see if he was available to come into our studio for a quick interview on his way down to San Diego for the Strength Matters Summit. Turns out he was gracious enough to spend over 2 hours with us chatting about all kinds of fascinating information. The stuff he’s into will really blow your mind. We talked a lot about ancient Taoist exercises to boost sexual health and vitality. His routines are amazing. There’s a great book which outlines how to do all the exercises he talked about called The Tao of Sexology by Stephen Chang which I highly recommend you download and read. So during the show I asked him about some of his strategies for dealing with jet lag and the radiation you get while flying all over the world. We discussed jiu jitsu (one of my other loves which I rarely talk about during the show) as well as topics like cold water therapy (cold thermogenesis linked to below), how to reprogram your subconscious mind with subliminal programming using binaural beats. We also discussed a lot of his anti aging and fitness strategies for being as strong, healthy and vital as he is. We hope you enjoyed our interview with Steve Maxwell as much as we did and if you did would you consider clicking “like” and “share” on this page to let your friends and family know about the work he is doing? 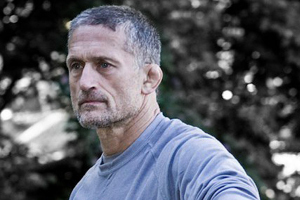 Steve Maxwell is an American fitness coach, physical educator, and Brazilian Jiu-Jitsu instructor. He was named one of the top 100 trainers in the USA by Men’s Journal. 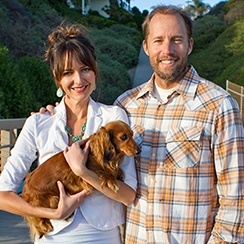 Previous Post Ep #169 – Dr. Robert Rowen – How Decreasing Toxins, Eliminating Stress & Increasing Nutrition Can Increase Your Energy & Impact Every Area Of Your Life Next Post Ep #256 – Ann Louise Gittleman – Most Likely You’re Riddled With Parasites, The Dangers Of Copper, Hormone & Thyroid Health Plus Much More!